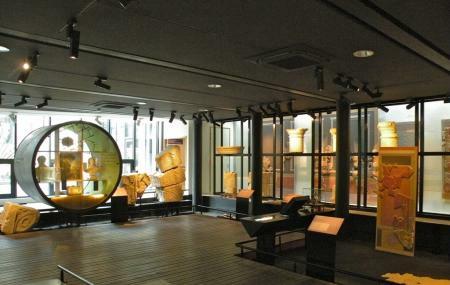 An ideal way to enhance your visit to Bayeux is by paying a visit to the museums of the city. The Musee Baron Gerard is rich with historic information relevant to archeological findings, beautiful paintings, Roman remains and information related to the lace industry. The museum has 2 floors and both the floors are totally worth visiting. Don't be surprised if you feel like paying a second visit to this remarkable collection. The museum is open everyday from February to December. The museum serves as a good picnic spot as well. The last entry to the museum is taken 1 hour before closing time. English and French are languages spoken at the museum. Tours are also available to the museum. How popular is Musee Baron Gerard? People normally club together Bayeux Tapestry Museum and Museum Of The Battle Of Normandy while planning their visit to Musee Baron Gerard. Fascinating collection of art work and historical artifacts including old aristocratic dinnerware, costumes and jewellery. The museum houses an ancient private courtroom and a secret meeting room that doubled up as a chapel. An insight into the political/religious workings of a era gone by. Absolutely amazing museum. Beautifully presented in an historic building, really a must do if you are in Bayeux.